We’re all super-excited about the start of the Tour de France; it’s that special time of year when the world’s finest cyclists assemble for the world’s greatest race, and the eyes of the world are upon them. There are six Vision-equipped teams competing for the jerseys, the stage wins and the hearts and minds of the fans and viewers – three WorldTour outfits: Cannondale Drapac Pro Cycling Team, Lampre-Merida and Team Lotto NL-Jumbo; and three Pro-Continental teams: Bora-Argon 18, Cofidis Solutions Credits and Direct Energie. The 2016 Tour starts on Saturday July with the spectacular Grand Départ from Mont-Saint-Michel and a flat 188km course that should provide an exciting sprint finish. This year’s Tour, the 103rd edition features two very different Individual Time Trial stages in the second half of the Tour, no Team Time Trial, nine flat stages, one hilly stage and nine mountain stages. Along with the mountain stages, the TTs could be decisive – both are punctuating the mountain inline stages and make a fascinating part of what looks to be a very interesting course for the 103rd edition. Stage 13, on Friday 15 July, after the first rest day and kicking off Bastille weekend is the first Time Trial. The 37km ITT from Bourg Saint Andéol to La Caverne du Pont d’Arc, in the Ardeche, while not the longest nor the hilliest, is tricky to gauge. With an uphill start and an uphill finish, pacing will be crucial and GC contenders may find themselves with nowhere to hide. Although not the longest ITT we’ve seen in a Grand Tour in recent years, this one could still see big shifts in the top 10 of the GC. An uphill start could see some riders go out too hard and not have enough left in the tank to finish well on the uphill finishing slope. Stage 18, from Sallanches to Megève, on Thursday 21 July, is a 17km ITT. It’s almost all uphill, with some truly testing sections and another sting in the tail. Peaking at an 11% gradient in the early stages, and again at over 8% near, though not at, the summit. The the following short descent into Megéve could be interesting, given the seemingly random nature of the weather this year! Amongst the mountain stages are four summit finishes that may well prove decisive – stage 9, Andorre Arcalis; stage 12, Mont Ventoux; stage 17, Finhaut-Emosson et Saint-Gervais, and stage 19, the mighty Mont Blanc – the tallest Alp might write the telling final chapter in GC and points after July’s three weeks. 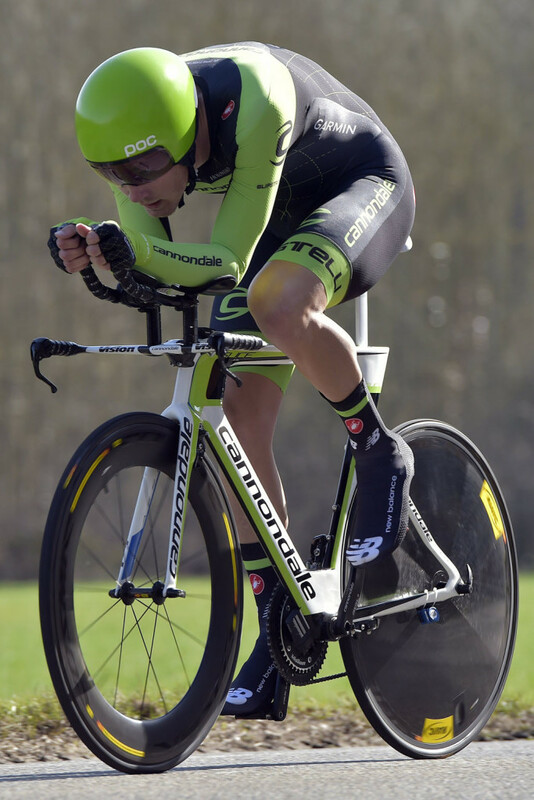 The Cannondale Drapac team has undergone a rebuilding process over the last years, with a blend of highly experienced racers being met by raw emerging talent to add a strength in depth to the 2016 line-up, making the cut of nine for the Tour de France squad an interesting choice – with the likes of Rigoberto Uran, Davide Formolo, Andrew Talansky and Joe Dombrowski missing out this year. Frenchman Pierre Rolland – one of this year’s new signings – will lead the GC charge, looking to build on his top ten finish from last year. And the support he’ll receive from a squad – that team manager Jonathan Vaughters described as “strategically designed” – made up from US and European-based riders could well propel him further up the standings. Look out for TT performances by young Americans Dylan Van Baarle and Lawson Craddock – who’s a strong ITT performer, and American Under-23 podium and Junior TT Champion. “There is a new energy, a new spark. These guys want to race their bikes.” says Cannondale Drapac sport director Andreas Klier. 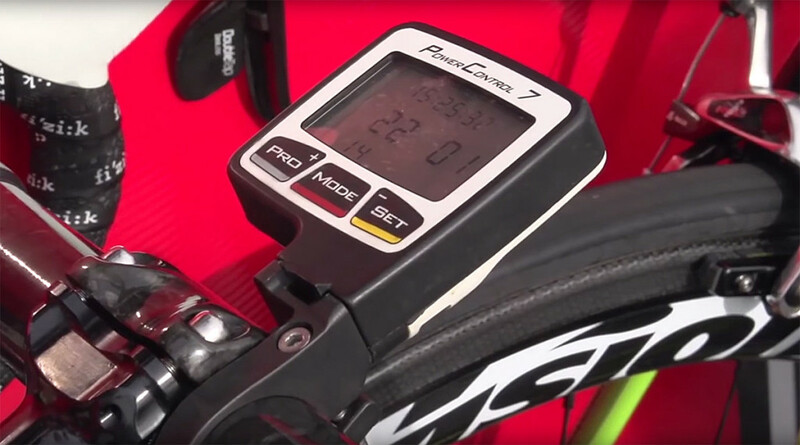 The Cannondale Drapac team run Vision aerobars and cockpits (bars, stems, seatposts). Last year’s mountain stage win by Spaniard Ruben Plaza was Lampre-Merida’s first Tour victory in five years – and is a feat the 2016 squad aim to build on. Portuguese former World Champion Rui Costa (29) heads the squad, having put last year’s Tour-ending crash behind him, and has African Road Race Champion Louis Meintjes (24 – former National U23 TT Champ and runner-up in last year’s African TT Championships) on his shoulder. Stage wins look set to be a focus rather than GC podiums – so keep an eye on the breakaways. The lead pairing reflect the full nine, all ridingVision aerobars, bars, stems, seatposts, who have an average age of just 26. New signings Tsgabu Grmay (African TT Champion) and Jan Polanc (Giro stage winner) on the watch list. The Dutch team for the Tour will, of course, be inspired by Steven Kruijswijk’s astonishing performance at the Giro – battling though the climbs to head GC before crashing on stage 19. That he battled on with a broken rib to finish fourth is as much inspiration in itself. With Robert Gesink’s injuries sustained at his crash in the Tour de Suisse it’s the great chance to shine for fellow Dutchman Wilco Kelderman. ”I’m looking forward to the Tour and we’re going to aim for good results,” said Kelderman. Keep your eyes on Giro (mountains) blue-jersey-holder and Vuelta stage-winner Bert-Jan Lindeman and Belgium’s classics hardman Sep Vanmarcke. Team LottoNL-Jumbo’s Bianchis are equipped withVision aerobars and cockpits (bars, stems, seatposts). German road champion Emanuel Buchmann and compatriot sprinter Sam Bennett will lead the German Pro Continental team’s drive for a top-20 finish at the 103rd Tour. The mission is stage victories, and a tough, talented squad is assembled to compete hard on the 2016 course. Buchman took to the TdF podium last year (stage 11, Cauterets), as did Czech national TT Champion Jan Barta, taking the Combativity Award on stage 3. Keep an eye on them, and on debutant Shane Archbold – The Flying Mullet – as the Kiwi is out to impress. Bora-Argon 18, the only non-French wildcard team at the Tour, run Vision wheels, cranksets and aerobars and cockpits (bars, stems, seatposts). Cofidis’ Spanish Daniel Navarro gets an aero tuck on home soil in last year’s Vuelta – can his Vision-powered teammates make the advantage count in France this year? Experienced Spaniard Daniel Navarro is the French Pro-Conti team’s GC leader, and after a solid start to 2016 the 2014 Vuelta stage-winner will be looking to make his mark on the Tour where he can. His 2013 TdF ended with a GC finish of 9th, which, combined with years of racecraft as a domestique for Alberto Contador, makes Navarro a wise asset as well as a powerful rider. Cyril Lemoine wore the red jersey for five days in 2014. Arnold Jeannesson held the Tour’s white jersey. Luis Ángel Maté has a Tour Combativity Award to his name. Nicolas Edet, late replacement for the injured Nacer Bouhanni, has won Combativity Awards in both the Tour and the Vuelta. Geoffrey Soupe joined Cofidis with Bouhanni and rode last year’s Tour – he’s always a dangerous figure in a Time Trial. Cofidis runVision wheels, cranksets and aerobars and cockpits (bars, stems, seatposts). French Pro-Continental team Direct Energie – the revamped Europcar team, renamed under the new sponsor boast an almost all-French squad of nine for this year’s Tour. Look out for Bryan Coquard, the 24-year-old whose victories on the first two stages of the Route du Sud might have opened many watchers’ eyes to his talent, but were no flash in the pan. His victories this year including at Dunkirk and Boucles de la Mayenne show great form and a winnign mentality – a state that has been developing in Coquard since his breakthrough on the track as a junior, hitting the 2012 Olympics. Coquard’s teammate Antoine Duchesne (also 24) was an important part of the Four Days of Dunkirk victory, and the Canadian – the only non-Frenchman of the DE nine – is retained for what’s hoped to be a winning formula. At the other end of the team’s age-range sits 37-year-old Tour favourite Thomas Voeckler. Starting his 19th Grand Tour, he’s the wise head, and still showing great form, winning both the tour la Provence and Tour de Yorkshire overall this year. 36-year-old countryman Sylvain Chavanel – former World Time Trial Champion and multiple French National TT Champion – will be looking to the 2016 Tour’s two time-trials to impress on his 16th TdF start. Direct Energie run Vision wheels, cranksets and aerobars and cockpits (bars, stems, seatposts). Good luck to all Vision teams in this year’s Tour!